The International Çanakkale Biennial, organized by CABININ (Çanakkale Biennial Initiative), a local civilian strategy initiative, will take place between Sept. 24 and Nov. 6. The biennial will focus on the commonalities or intersecting points between the world agenda and that of Çanakkale. The biennial's fifth edition will discuss migration and motherland issues through contemporary art while contributing to ongoing local and global intellectual and creative processes. The biennial is mainly supported by the Çanakkale Municipality, and CABININ. It will be put on with the help of contributions by the embassies of Sweden, Switzerland, the U.S., Germany and Hungary, along with various local, national and international non-governmental organizations (NGOs), the Ellis Island Museum, the Ruya Foundation, Anatolian Culture, Gallery Polaris, Suzanne Tarasieve Gallery and Pilot Gallery. 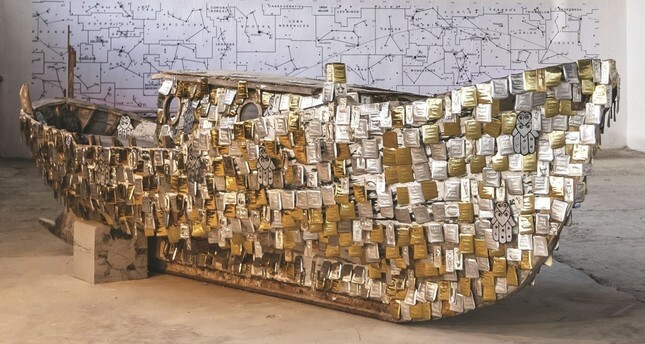 This year, the International Çanakkale Biennial is inspired by the Czechoslovakian philosopher, writer and journalist Vilem Flusser's (1920‐1991) concepts on migration and refugees. Flusser, who was a refugee himself after World War II, said: "The Motherland is not an everlasting value; rather, it is the function of a more specific technology, yet one suffers when it is lost because we are connected to the motherland with several bonds which are mostly hidden and do not surface above the level of consciousness. When these bonds are broken or forced to be broken, the individual experiences it with great pain and it has the similar effects of a surgical operation on the person's core." Under the light of Flusser's statements, the biennial will approach the postmodern concept of rootlessness, global migration caused by contemporary political and financial problems, the concept of being a refugee and being exiled and forced past nation-state borders from various aspects. The fifth edition of the international biennial will also feature the works of 40 artists from Turkey, the Middle East and Europe, operating in various disciplines such as photo-journalism, documentary filmmaking, cinema, design and media. The artworks primarily address concepts such as nation, identity and otherization, while focusing on different aspects of the current migration crisis. It is expected that the biennial will use various venues across the city, including the main exhibition venue of the biennial, Piri Reis Museum, MAHAL Sanat, the Palamut Storage Region, the Old Armenian Church, the Mekor Hayim Synagogue, Korfmann Library, Çanakkale Archaeology Museum, Çanakkale Ceramics Museum , Ece Ayhan House and ÇTSO Çanakkale House. 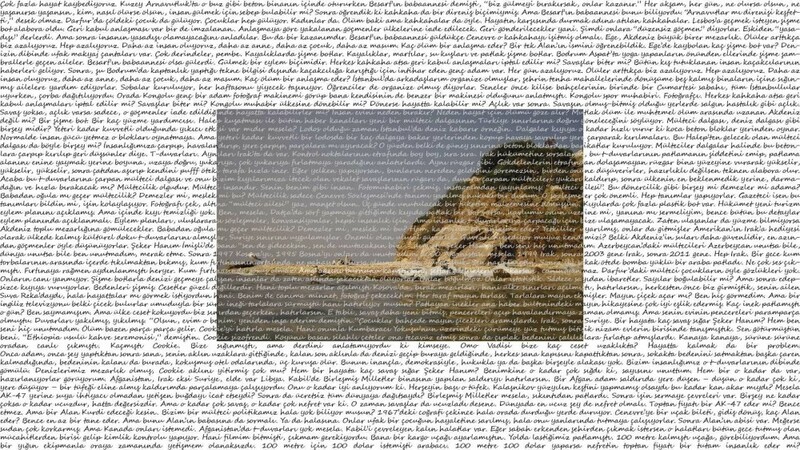 The biennial will take place with the participation of prominent local and international artists, art and culture institutions, art critics and curators with goals to protect and improve CABININ's reputation as a prestigious contemporary art organization in the Mediterranean basin. Among the guests of the biennial are artists Adrian Paci (Albania-Italy), Ahmet Elhan (Turkey), Aissa Deebi (Palestine-Switzerland), Akam Shex Hadi (Iraq), Alfredo Jaar (Chile-U.S.), Ali Miharbi (Turkey), Angela Melitopoulos (Greece-Germany), Anur Hadžıomerspahıć (Bosnia-Herzegovina), Bikem Ekberzade (Turkey), Birgit Johnsen (Denmark), Hanne Nielsen (Denmark), Boris Mikhailov (Ukraine-Germany), Bouchra Khalili (Tunisia-France), Canan Beykal (Turkey), Cem Demir (Turkey), Cengiz Aktar (Turkey), Çınar Eslek (Turkey), David Larsson (Sweden), Eleni Mylonas (Greece), Esin Turan (Turkey-Austria), Ezgi Kılınçaslan (Turkey-Germany), Ghazel (France-Iran), Haider Jabbar (Iraq), Halil Altındere (Turkey), Josephine Turalba (the Philippines), JR (France-U.S.), Kalliopi Lemos (Greece-UK), Maher Abdel Aziz (Syria-Sweden), Mehmet Erim (Turkey) Nevin Aladağ (Turkey-Germany), Norayr Kasper (Canada-Turkey), Peter Aerschmann (Switzerland), Pravdoliub Ivanov (Bulgaria), Reysi Kamhi (Turkey), Roza El Hassan (Syria-Hungary), Sabine Küper,Büsch & Thomas Büsch (Germany-Turkey), Sermin Sherif (Turkey-the U.K.), Tuğba Elmacı (Turkey) and Vahit Tuna (Turkey). The curator team will feature Beral Madra, Seyhan Boztepe and Deniz Erbaş. For further information and to keep up with the latest updates, you can follow @canakkalebienal on Twitter or the CanakkaleBienali account on Facebook.